It seems the dems are trying everything possible to get Stacey Abrams into the governor’s mansion. They even had Obama and Oprah politicking for her over the last few days in metro Atlanta. Here’s hoping that they wasted their effort and time in an area that is primarily “blue” and she is likely to carry anyway. Kinda like preaching to the choir. Once you exit the perimeter (I-285), she is going to have a more difficult time especially since she openly advocates gun control and yes ... CONFISCATION. The media (liberal & conservative) is decrying the race as “too close to call”. There is a Libertarian in the mix who might force a run off. VP Pence was here a few days ago speaking on Bryan Kemp’s (GOP candidate) behalf and the president is due in middle Georgia for Kemp tomorrow. Hopefully, that get the out the GOP vote. Yeah, I hope she gets clobbered. The dems pulled all the stops on this one plus millions of dollars. It would be great if all the effort blew up in their face. It all depends on which side has the most enthusiasm with their base. It seems the dems are trying everything possible to get Stacey Abrams into the governor’s mansion. Of course they are. Is there anyone more easily controlled than the mentally ill? Abrams is a clown, and I hope both she and Andrew Gillum in Florida crash and burn in the final tallies. Guess I'll have to wait for Gwenn Stefani (or some other celebrity) to tell me how to vote (said no one ever). Abrams is openly in favor of sanctuary cities too. She proclaimed this at a speech she gave in California with Pelosi. For what it’s worth polls average 1-2% lead for Kemp. Yeah, somewhat toss-up territory. Democratic/Hollywood carpetbaggers. Go home libs!! The campaign ad spending must be big: I'm seeing Abrams ads on TV here in VA.
Now you’re seeing the dems at their finest. She only wants YOUR guns, though. Stacey Abrams owes the IRS $50K for taxes on undeclared income and has $170K in overdue credit cards. She needs the “extra” income that being Georgia governor could provide. Desperate people do desperate things. And now the Georgia Dems have been caught trying to cyber hack the vote. Guess one of the guys grabbed the wrong EDC bag for the meetup. 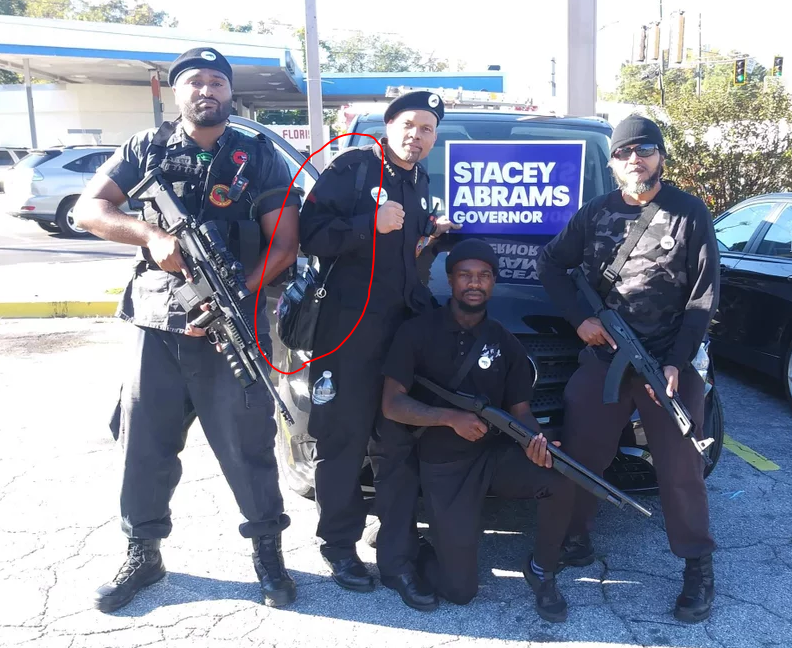 You jest, but if Stacey Abrams gets elected, I suspect this is exactly what you will see around Georgia....Armed Black Panthers. Just like the Black Panthers armed with night sticks in Philly. These liberal, progressive, socialist democrats will stick it to the white man and woman, republicans and anyone else that disagrees with them. I have to ask however, are there that many mis-informed fools in Georgia that would support and vote for Abrams? I guess there are a lot of "Free Obama phone and everything else" people in Georgia? And unfortunately all over the country..This is a sad, sad day for America that we the working class have to be subject to the democrat party and their ilk! 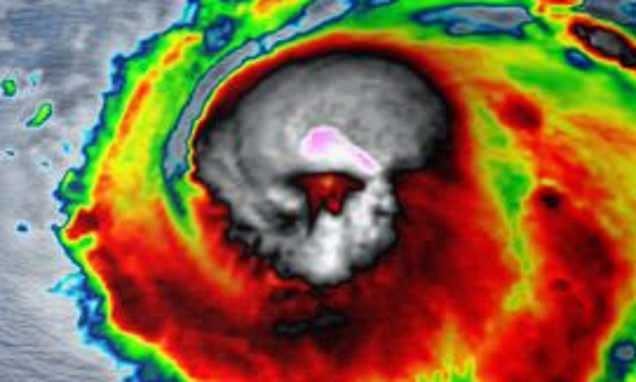 That is just crazy, pictures. Yes, to many fools out there easily duped. If by some horrific turn of events she were to get elected, I suspect her day one priority will be to get rid of the Stone Mountain statue. Day two will be guns. The Georgia House would not allow her to do anything against the Georgia constitution.